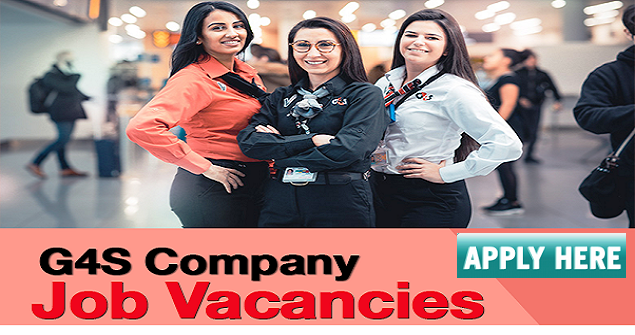 G4S Security Jobs in Dubai. G4S is the world's biggest provider of security services. Based in London, they operate all over the world supplying a broad spectrum of services such as supply of monitoring equipment, security personnel, secure transportation of prisoners and response units. With operations in 125 countries worldwide, G4S employees over 500,000 people and is the third biggest private employer in the world. G4S is a large and prestigious employer offering a wide choice of positions all over the world. One of the main areas of employment for this company is security, and there are many excellent security positions offered by G4S in Dubai. If you are interested in applying for G4S security jobs in Dubai, this article will give you all of the information that you require. With both full time and part time roles available, as well as permanent and temporary positions, there is something for everyone with this employer. If you are looking for G4S security jobs in Dubai the best place to start is the company's own website. There is an entire section dedicated to careers so that you can easily search for the right position to suit your needs. You can either search by keyword, country, location, job category or contract type so that you can perfectly tailor your search to your individual needs. Some G4s security jobs in Dubai are also listed on other general job listing website such as Gulftalent. What Kind Of Skills Will I Need To Work At G4S? With so much variety in the positions available with G4S in Dubai there is no single skillset required. The kind of skills and qualifications necessary will very much depend on the position being applied for. Each job advert is highly specific with regards to the necessary skills and experience, so it is easy to see at a glance whether you are suited to each role. A good level of high school education is the basic minimum requirement for any job, however more senior roles will of course demand a much higher level of education including a degree or other higher level qualification in a relevant subject as well as several years of experience in a similar field. Some roles will require employees to have computer skills as well as excellent communication skills in both speaking and listening. Due to the nature of security roles, it is very important that every applicant submits to a background check and to have a clear criminal record. They must also agree to testing for drugs and alcohol as and when required. Many active security roles require candidates to have had military experience or service with the police in order to be considered. If you want to apply for job vacancies at G4S in Dubai, you can apply through the company's own jobs page on their website. Simple register for a user account on their careers portal, upload your CV and personal information and then you will be able to apply for any of the roles that you are interested in.